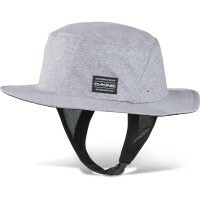 The casual Dakine INDO Kite Surf hat with sun protection factor has been specifically designed for water sports, especially for windsurfers, surfers, kiters, sailors and SUP paddlers suitable. 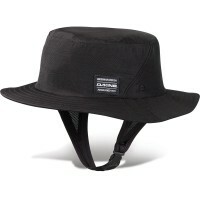 The Dakine INDO Kite Hat does not sink and dries very quickly. The pages can paddle fold during and adjustable chin strap provides support. A removable plastic part protects the entire neck from the sun. Through the generous design also ears and face are still protected. Customer evaluation for "Dakine Indo Surf Hat Field Camo"